Further development should go much faster than modern microprocessor design since much of the same theoretical and practical applications used in the production of silicon chips can be applied to working with TMD. 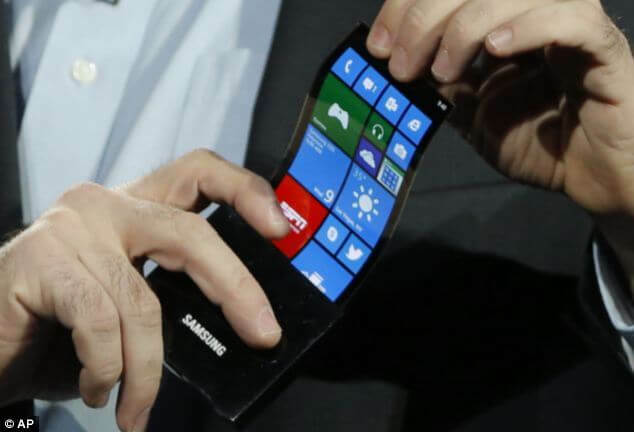 Furthermore, Samsung and others are already looking into ways to make flexible and ultra-thin phones. Companies like Corning and LG already have bendable, and roll-up screen prototypes developed.